The son of man has power on earth to forgive sins. The God Jesus reveals is merciful. Once we repent of sin, he immediately forgives us; provided we also forgive others. Jesus says: “If you forgive men their trespasses, your heavenly Father will also forgive you. But if you do not forgive men their trespasses, neither will your Father forgive your trespasses” (Matthew 6:14-15). Jesus does not say we shall be forgiven because he will die for our sins and wash us in his blood. He says we shall be forgiven if we forgive others. It is all that simple. Jesus insists God desires mercy and not sacrifice (Matthew 9:13). When Herod killed some Galileans even while they were offering sacrifices, many were convinced their sins must have been great for God to have allowed this to happen. But Jesus said they perished precisely because they were offering futile sacrifices. Instead, he said, they should have done the will of God which is to repent of sin (Luke 13:1-5). Jesus demonstrated dramatically that forgiveness is no big deal for God by telling a paralytic his sins are forgiven. This outraged his Jewish opponents who reasoned: “Who can forgive sins but God alone?” (Luke 5:21). But Jesus decided to do the more difficult task of healing the man as proof that he has the power to do the easier one of forgiving him his sins. Therefore he said to the paralytic: “Arise, take up your bed, and go to your house” (Matthew 9:6). When he said this, the man was healed instantly. 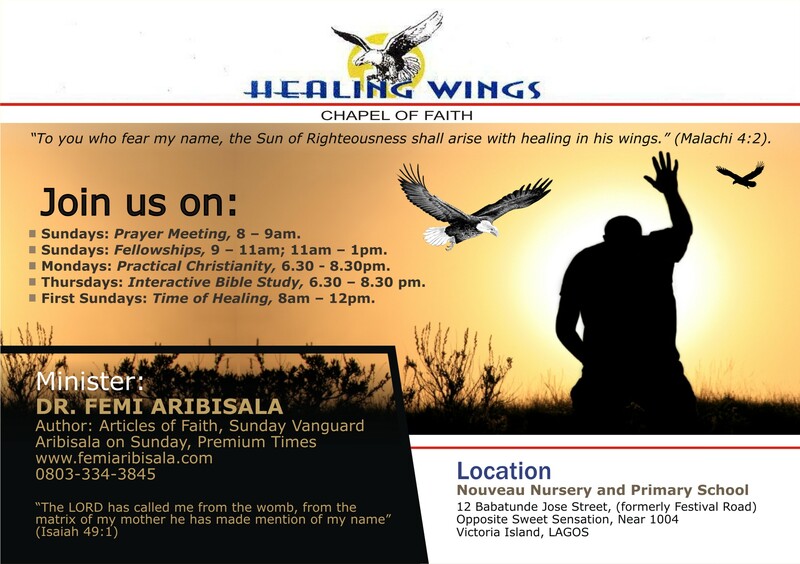 He got up, carried his bed and went home, showing thereby that Jesus has the power to forgive sins. But Jesus does not even limit this power to himself. Instead, he says “the son of man has power on earth to forgive sins” (Matthew 9:6). Those who heard him understood exactly what he meant. Matthew says: “they marveled and glorified God, who had given such power to men” (Matthew 9:8). Has the mighty power to forgive men their sins really been given to mere mortals? Yes, says our Lord Jesus to his disciples: “If you forgive the sins of any, they are forgiven them; if you retain the sins of any, they are retained” (John 20:23). Jesus calls this “the keys of the kingdom.” He says to Peter: “I will give you the keys of the kingdom of heaven, and whatever you bind on earth will be bound in heaven, and whatever you loose on earth will be loosed in heaven” (Matthew 16:19). 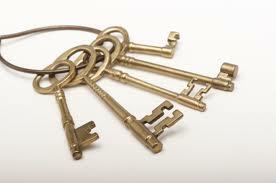 These keys can be used by any disciple of Jesus. Once we forgive someone who offends us, God automatically forgives him as well, and everything hitherto closed about the kingdom of God becomes open to him. Jesus says: “If your brother sins against you, go and tell him his fault between you and him alone. If he hears you, you have gained your brother. But if he will not hear, take with you one or two more, that ‘by the mouth of two or three witnesses every word may be established.’ And if he refuses to hear them, tell it to the church. But if he refuses even to hear the church, let him be to you like a heathen and a tax collector. Assuredly, I say to you, whatever you bind on earth will be bound in heaven, and whatever you loose on earth will be loosed in heaven” (Matthew 18:15-18). This means the brother who refuses to repent is shut out of the kingdom of heaven by the agreement of two or three of Jesus’ disciples; while the one who repents is forgiven and welcomed back in. Therefore, we discover, not only that we can easily receive divine forgiveness without offering any sacrifices, but also that, like Jesus, we can even pronounce forgiveness of sins on those who offend us, provided they agree to repent. When we do, God backs us up by ratifying it in heaven. In effect, the power to forgive sins has been given to believers; and that power lies beautifully in the realisation that we only safeguard our own forgiveness by a readiness to forgive others. It is a shame that, in spite of this great privilege, some Christians continue to adhere to Paul’s weird doctrine of a vengeful God who sacrifices his Son Jesus in order to atone for the sins of mankind. Paul’s God is a God of wrath who never forgives sin but pays “the wages of death” for every infraction, either to the sinner, or to Jesus his substitute. This makes him no different from all the other blood-thirsty pagan deities. Without a doubt, Paul’s God is not the Father of our Lord Jesus Christ.